Zoe Stevenson, an employee at clothing store Verdigris on the DTM, had an unexpected visitor yesterday– a giant bat, which she says was sleeping behind one of the bags that a standing mannequin was holding. Stevenson was sure she’d hurt the bat, and that it was dying, but then it sprang to life. 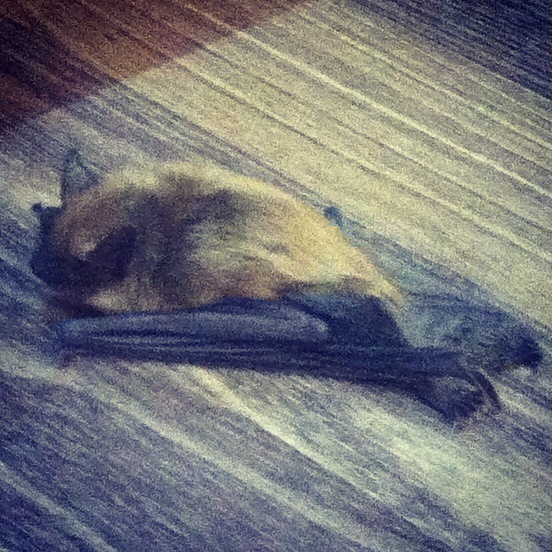 Stevenson said the large bat circled around the store for about ten minutes.